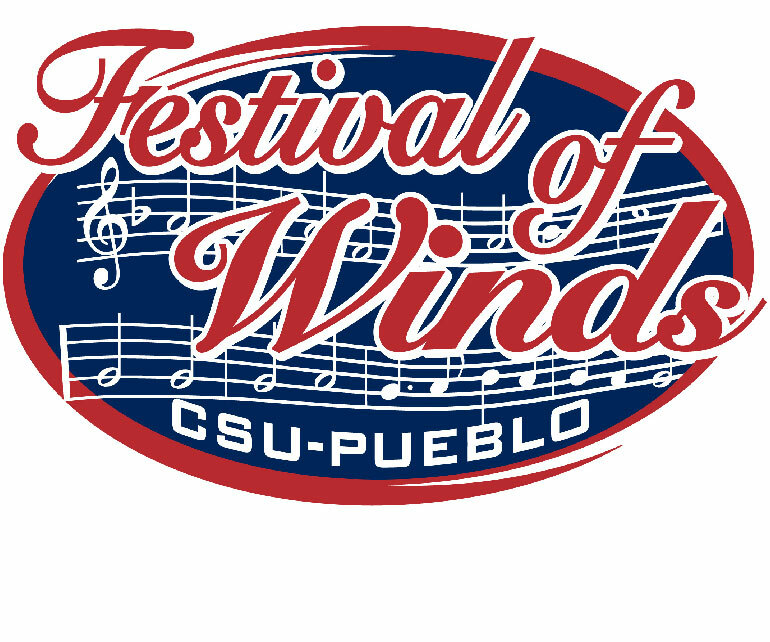 PUEBLO – Colorado State University-Pueblo’s Department of Music will host more than 350 high school musicians and faculty representing 42 Colorado high schools as part of the 10th annual Festival of Winds event, February 22-24. CSU-Pueblo again will bring part of the festival into the community with evening concerts at the Sangre de Cristo Arts Center, Pueblo West High School, and Memorial Hall. The three-day event will feature four high school honor bands as well as world premiere performances written by Adam Gorb and performed by the CSU-Pueblo Wind Ensemble. In addition to music director-recommended High School Honor Bands, the festival also features master classes, graduate credit for participating directors, and exhibition concerts by the Denver School for the Arts Wind Ensemble, the U.S. Air Force Falconaires Jazz Band, and the Pike’s Peak Jazz Band. Students are selected through a recommendation by their high school band teachers. This year's event brought in nearly 500 director recommendations from across the State of Colorado. According to Festival Director Dr. Alan Mills, this includes more than just a weekend of rehearsing music and producing a final honor band performance. In addition to this, students will participate in small group music rehearsals and master classes with the instrument music teachers from the Department of Music at CSU-Pueblo. Participating students and teachers also have the opportunity to enjoy a series of seven concerts throughout the weekend. “While this is certainly a recruiting opportunity that brings high school musicians to campus, it is also serves as an opportunity for the CSU-Pueblo Music Department to give back great musical experiences to state-wide music programs, with the goal of taking their experiences with them and sharing them with their classmates back at their high school,” Mills said. This year's concert series includes performances by the USAFA Falconaires Jazz Band, the Pikes Peak Brass Band, the CSU-Pueblo Wind Ensemble, and a performance by the band teachers who represent each of the participating students, called the Top of the Hill Band. The concerts on Thursday and Friday and Saturday morning are open to the public at no charge. Audience members are encouraged to arrive early for concerts as full capacity crowds are expected. Admission to the Saturday afternoon concert is $8 per adult with $5 tickets for students and seniors. Children five and under and honor band participants, directors, or chaperones are FREE.